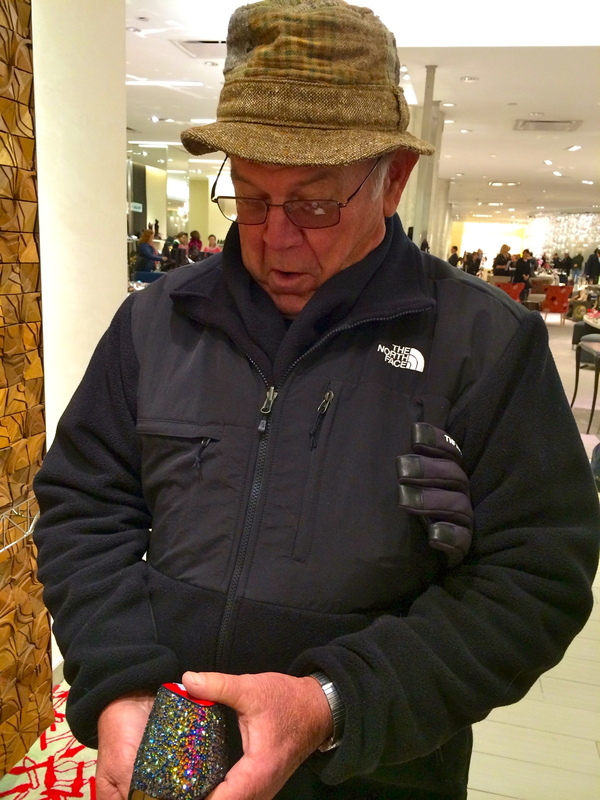 The day after Thanksgiving, I took my parents to see the windows along 5th Avenue. We worked our way down to Saks Fifth Avenue where we made a stop for lunch before seeing the Rockettes at Radio City Music Hall. On our way up to the 9th floor in the express elevator, Corbin reminded me that while we would be walking through the massive shoe department, there would be NO SHOE SHOPPING! “Mom, keep on walking! We are here for lunch not shoes!” He is a smart 8-year-old. 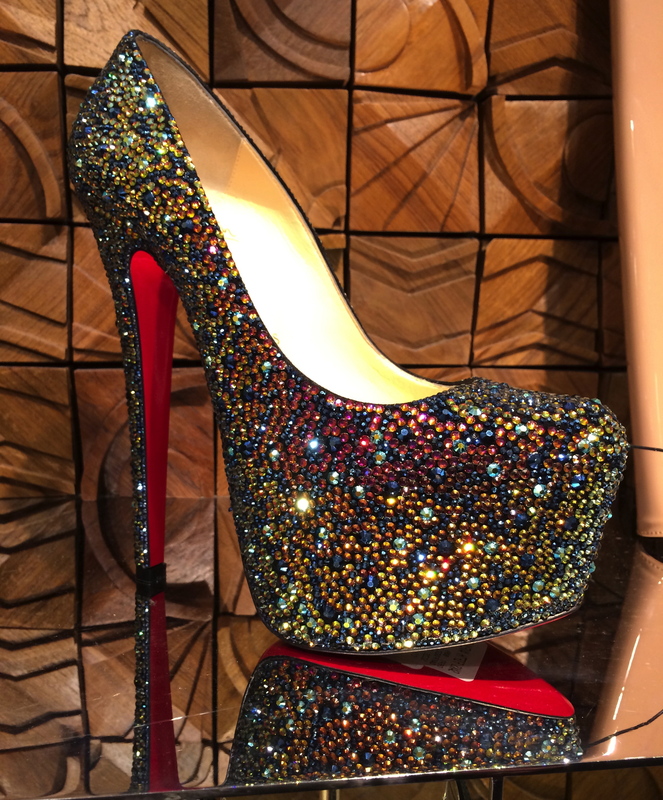 After lunch, I wanted to get my Dad’s reaction to a ridiculously overpriced pair of Christian Louboutin Swarovski encrusted crystal platform heels. 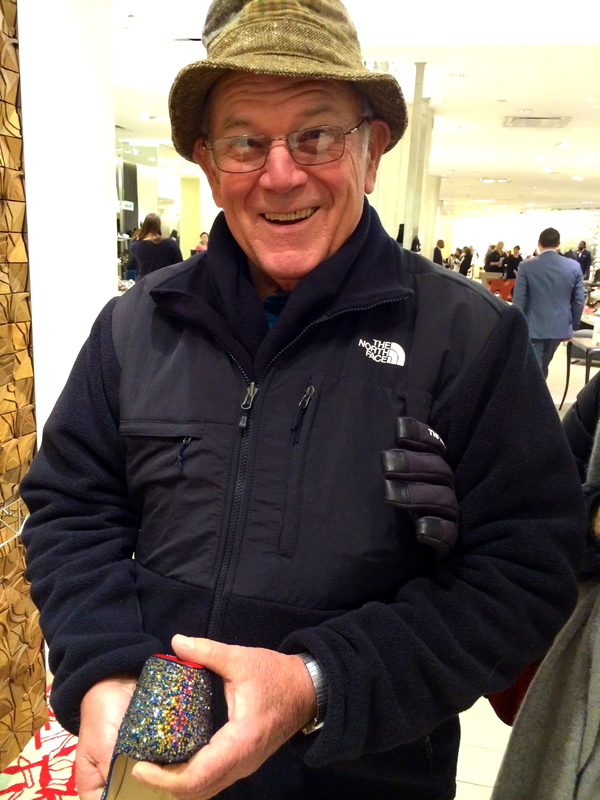 He is very familiar with crystal covered ‘things’ as a man who raised two daughters who were both baton twirlers and pageant girls. 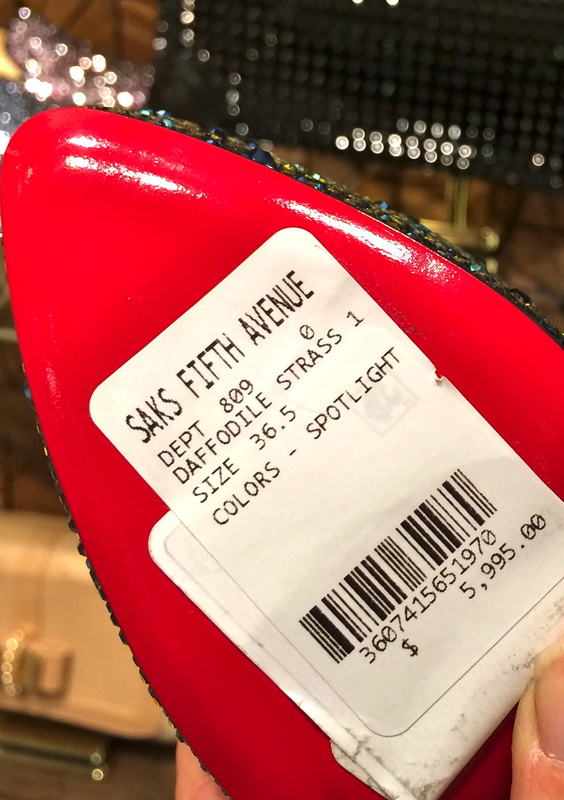 So things that sparkle always catch his eye – and so do the price tags! I’ll let the photos tell the rest of the story! Now those are some serious shoes, D.J. I should get your Mom a pair of these. 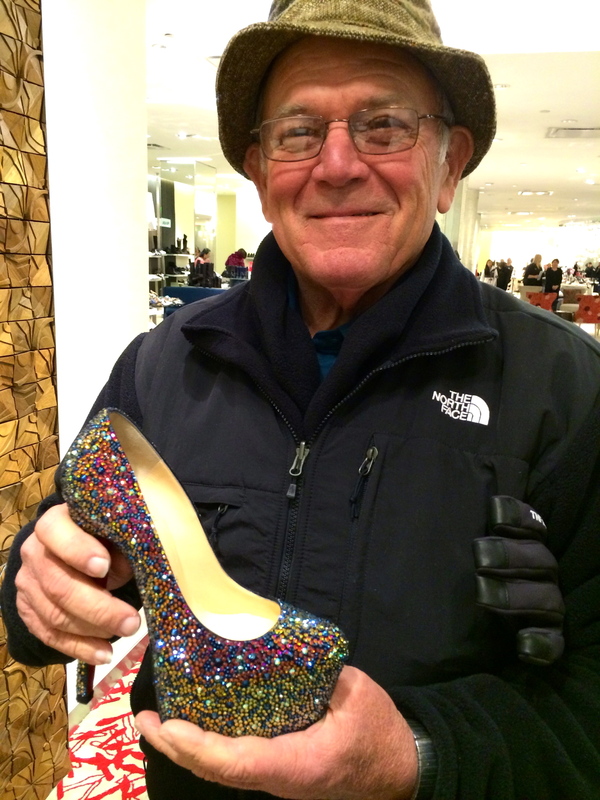 Dad’s reaction to these overpriced stipper shoes was priceless. If only I would have thought to get Mom to try them on for him!!! Moi! As translated from the Southern dialect that DJ so beautifully employs…DJ brings you stories that celebrate the joy of life. @DavidBegnaud 100% adorable! He is precious.